Three WKU students will begin working in the U.S. Department of State next summer. Margaret Sullivan of Louisville, Noah Stevens of Elizabethtown and Erick Murrer of Nancy were awarded prestigious U.S. Foreign Service Internships, funded by the U.S. Department of State. Only 34 Foreign Service Internships were awarded nationwide this year. 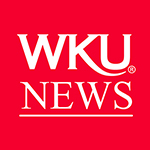 WKU had the most students recognized in this competitive program, tying with Duke University. The program benefits include a summer internship in Washington, D.C., where students work on pressing policy issues, and a second internship abroad where students put their foreign language skills and international expertise to work in diplomacy. Students will also receive instruction on diplomatic history at the Foreign Service Institute and preparation for the Foreign Service Office Test. Sullivan, a third-year International Affairs major and Honors College student, is the daughter of Laura and Joe Sullivan. She will work in Washington, D.C., on refugee issues. Sullivan has extensive experience working with refugees in Kentucky. During summer 2018, Sullivan will intern abroad in the Middle East or Africa, utilizing her French and Arabic skills. Stevens, a third-year International Affairs, Arabic and self-designed Middle Eastern Affairs major and Honors College student, is the son of Carman and Mark Stevens. He will work on political-military affairs in Washington this summer. Stevens hopes to use his Arabic language skills in the Middle East during his summer 2018 internship abroad. Murrer, a third-year Economics and Chinese major and Honors College student, is the son of Sherri and Erick Murrer. He will work on global human rights issues, particularly LGBT rights, in Washington. During summer 2018, Murrer will intern abroad in Latin America, utilizing his Spanish language skills. According to Michael McClellan, WKU’s Diplomat-in-Residence in the Office of International Programs, WKU’s unprecedented success speaks highly of its academic programs, the strong support students receive from the Office of Scholar Development and its international programs and opportunities for students to learn and compete at the highest levels. The students worked with the Office of Scholar Development at WKU in preparing their applications for USFIP and other nationally competitive opportunities. About the Office of International Programs: The Office of International Programs supports the internationalization agenda of the university by creating opportunities for faculty and staff development in a global context and supporting the development of meaningful co-curricular programming for student, campus and community audiences. 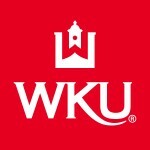 About the Office of Scholar Development: The Office of Scholar Development is committed to helping WKU students in all majors and degree programs develop the vision, experience and skills to be independent, engaged scholars. OSD welcomes the opportunity to work with students interested in nationally competitive scholarships and opportunities.